With a firm focus on the Father’s role in his children’s life, Aviva India is taking Father’s Day celebrations to the next level. With multiple activations on ground, as well as on social media and within their office, Aviva India is bringing recognition to the Father’s role in the family. Young Parents being Aviva’s target audience, its digital activations focus on bringing moments spent together to social media platforms. Aviva India has created online scrapbooks with you and your family in them. 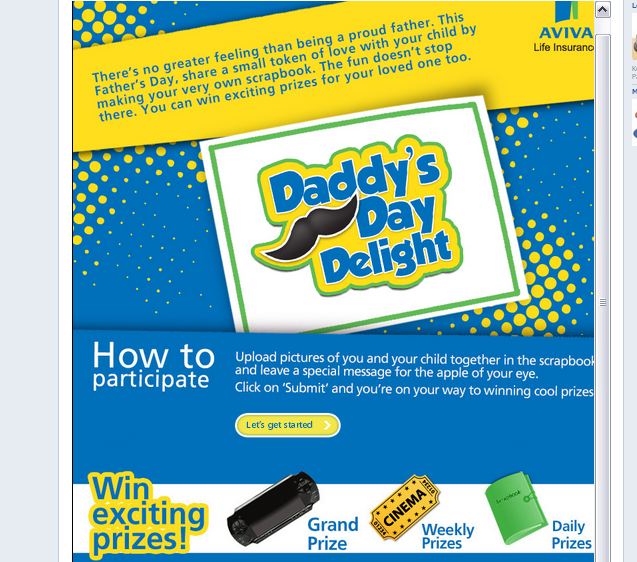 This Daddy’s Day delight contest on Facebook allows users to put together themed scrapbooks, and win a grand prize of Sony PSP. Twitter contest winners will receive flipkart vouchers, movie tickets and personalized scrapbooks designed by Aviva with pictures of moments spent with their father/child. You can upload pictures of you and your child together in a scrapbook and leave a special message for your child. The app also lets you choose a theme for your scrapbook such as art and craft, Beach and Cricket. After you you choose the theme, you can upload photos from your device or from your Facebook Albums to customise you scrapbook. You can leave mini messages for your child. Aviva India also ran Twitter contest from 13th June- 15 June with different hashtags everyday that defined the father-child relationship. Using Twitter, users could express their feelings, share memories, hilarious instances, best moments, secret pacts, even pictures etc. to depict their relationship with their father. Three winners were chosen daily. They also asked questions about famous father and child duos. Apart from these contests, Aviva had organized “Bring your kids to work day”, where employees can get their children to work. 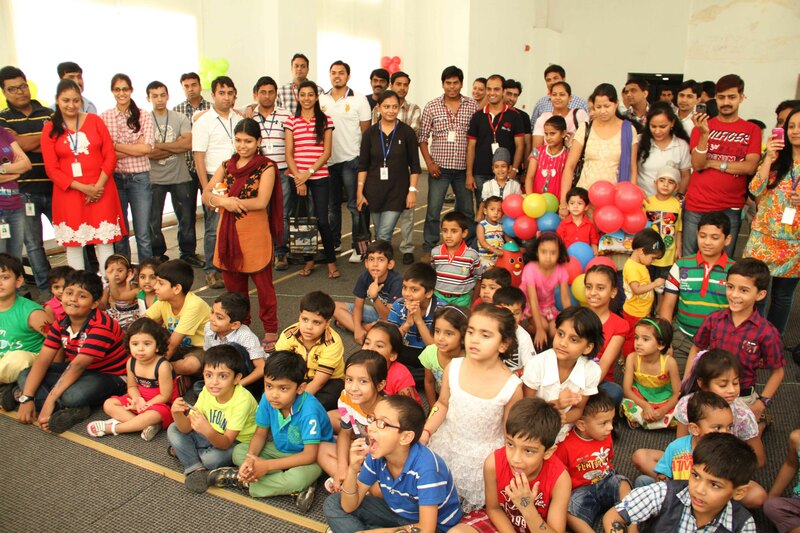 There were several exciting activities for children on the day like movie shows (Chotta Bheem, Finding Nemo etc), Kiddie meals, puppet shows, games and special play area at their father’s work stations. These children were also taught how to make cards for their fathers to gift this father’s day. Father’s day provided Aviva with a timely promotional angle and they leveraged it very nicely. The campaign was not only engaging, but also relevant and consistent with their current branding. in India, fathers are mostly the earning members and decision makers of the family. The campaign connects Fathers to their children, thereby subtly reminding them about their child plans and Family plans. A scrapbook can be a unique and a valuable keepsake for your child. If found the design and the interface of the app very smooth and user friendly. You can flip through the pages of the book when it is ready. It makes you feel as if its a real scrap book. The scrapbook can be shared on your Facebook profile as well as invite your friends to try the app. This gives it a scope of virality. The twitter contests too garnered a great response and they were very engaging! Aviva celebrated father’s day with their employees. Involving them in such activities helps balancing personal and professional interests. It helps in retaining workforce and gives a boost to recruitment strategies. You can share the album of Facebook so that others can see it, but there was no option to tweet about it. A tweet button would have helped in promoting it more. Users could chose photos from there Facebook albums, but the app accessed only limited photos. That is still not bad, because I found the application very good. If wish they allowed users to print the scrapbook with a print button. Aviva did a great job by inviting their employees children to work. An online offline integration could have enhanced this activity. I cannot see any blogpost/ pictures/ updates/ tweets about this exercise. Branded hashtags are always good for Twitter contests. 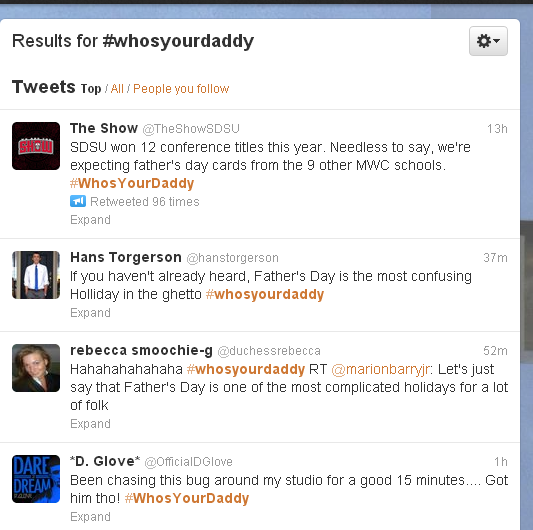 Although the twitter contests were quite interesting, a random search of their hashtag #WhosYourDaddy didn’t really show any signs of the contest in the search results. Incorporating events and holidays in your social media strategy helps you to increase engagement and stay relevant. Aviva India strategically targeted the right set of audience through this campaign.